We knew from the start that Anthem was going all shooty-shooty, but we didn’t know a single thing about the talky parts. Bioware games have always been big on talky parts, so it was a big mystery to anyone interested in the game. Luckily, the footage Bioware decided to show at this year’s PAX West contained some talky parts. They’re not as talky as you might expect (or wish for), but they’re still more talky than your average shooty game. We are showing this to an audience that is not used to these kind of decisions and conversations. We wanted to keep it simpler, but we also don’t want to present you with any false choices. And that’s that. 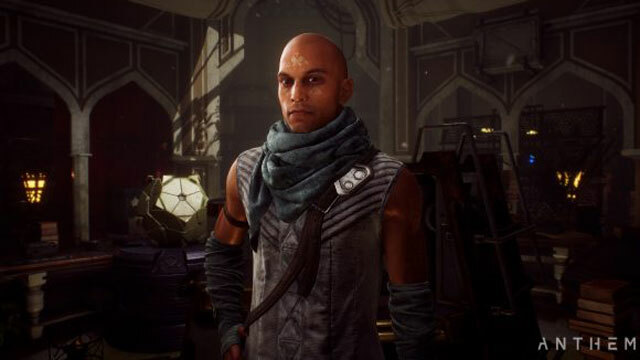 If you were expecting even a sliver of a Bioware RPG in Anthem, your hopes and dreams have now been thoroughly trampled. Seeing how most of the top talent behind those games that made the studio’s name have gone on to greener pastures, it’s not much of a surprise. Especially after that whole Andromeda thing. It’s obvious Bioware should take a break from RPGs, and Anthem seems like just the thing. It has exo suits, giant weapons, space baddies, tons of upgrades and modifications for your gear and all that you’d expect from a shooty game in this day and age. If you’re unsure whether you’d like it, you’ll be pleased to know there is a demo planned for release in February 2019.